ri* z:~] | > ■ . O-C, Y P H g R Q_£ TE L E G R AM. 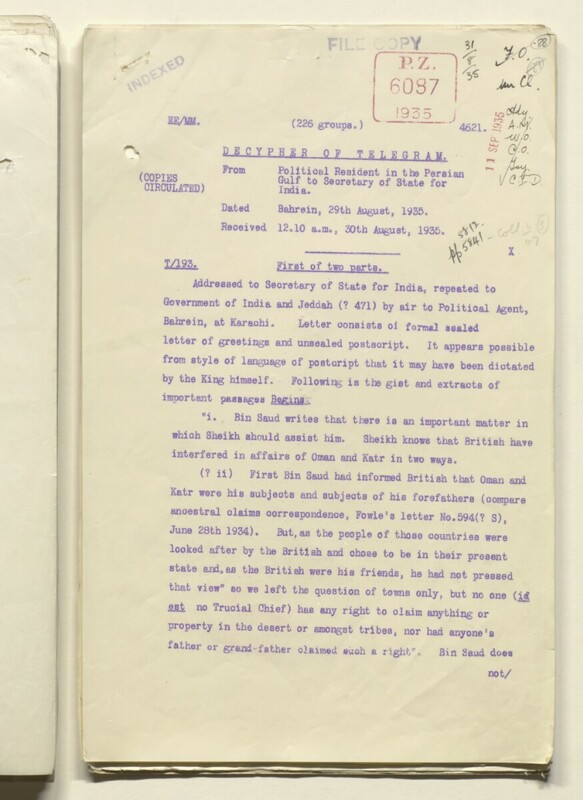 Received 12.10 a.m., 30th August, 1935.
important passages B egins . interfered in affairs of Oman and Katr in two ways.